I have adaptors for the straight-blade RV plug (TT-30), new electric dryer (14-30) and new range (14-50). There are quite a few types of 240V receptacles out there!! Thanks to By Orion Lawlor – Own work, CC BY-SA 3.0, https://commons.wikimedia.org/w/index.php?curid=15900896 for this image. I have adaptors for the straight-blade new electric dryer (14-30) and new range (14-50). 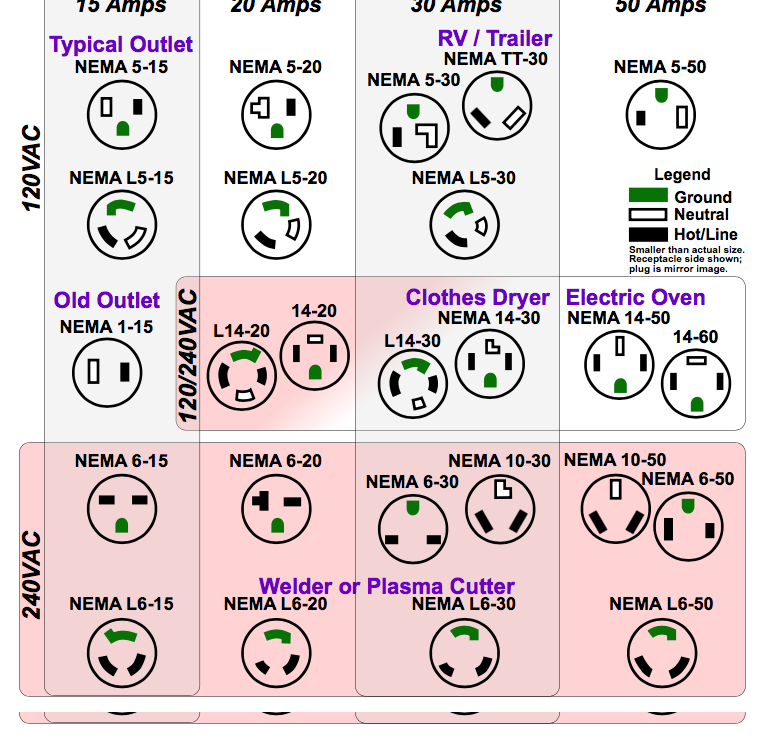 There are quite a few types of 240V receptacles out there! !